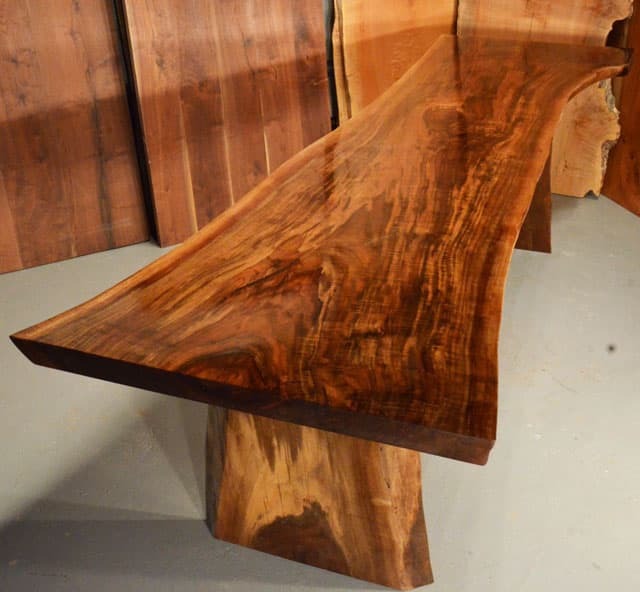 The Custom Double Walnut Crotch Conference Room Table. 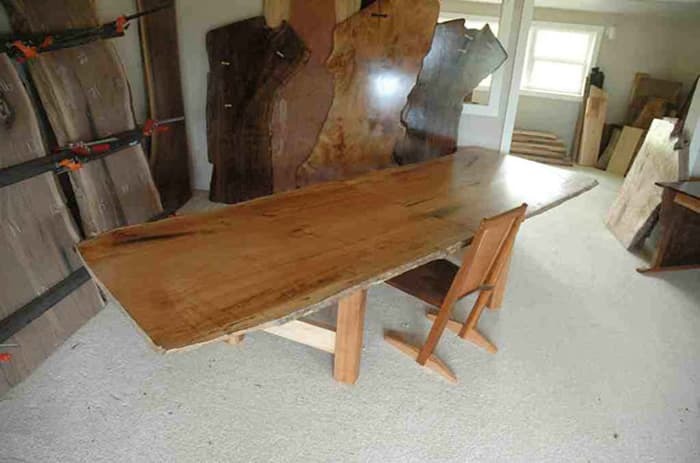 Approximately 81″ long x 36″/66″ wide. 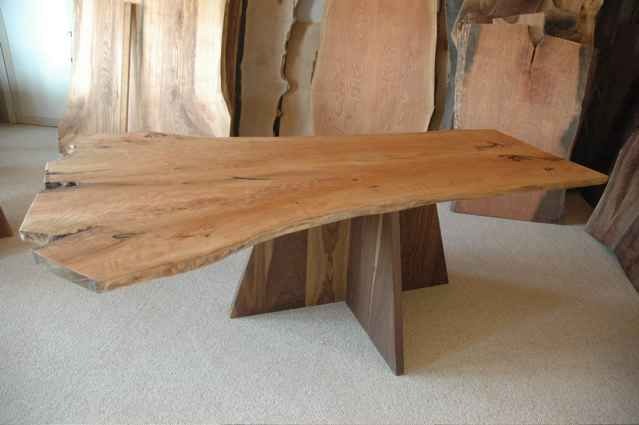 If you’re looking for a custom built wood slab conference table to fit your home or office space, we can help you out! 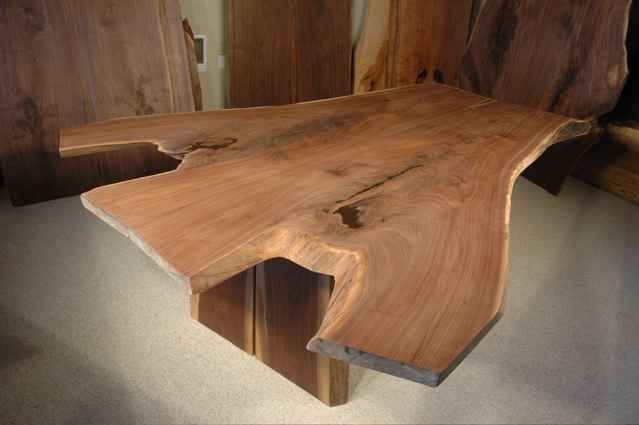 Let’s say you already have an idea in mind of a custom conference table that you would like to have. You can submit your idea to us via our Request A Quote Form or call us directly at (406) 777-3772.